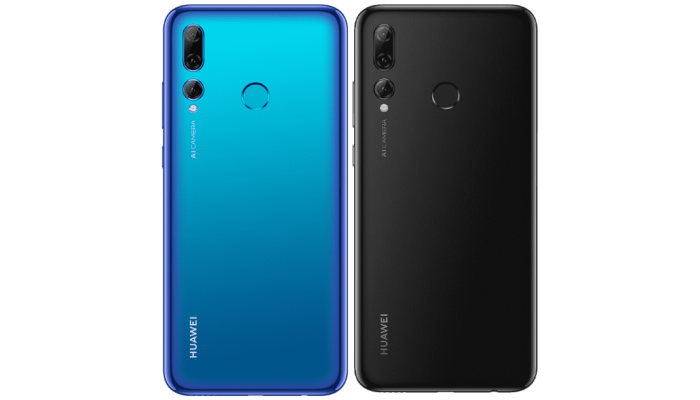 Huawei Y Smart+ 2019 With Triple Rear Cameras Announced in Europe - Playfuldroid! The Huawei Y Smart+ 2019 is the latest mid-range phone to go official in Europe. In terms of specs and design, the handset does not differ from the Huawei Y Smart 2019 phone that was unveiled in Europe in December. The major difference between the two phones is that the Y Smart+ 2019 comes equipped with a triple camera unit. The Huawei Y Smart+ 2019 is fitted with a 6.2-inch IPS LCD display that produces full HD+ resolution of 1080 x 2340 pixels. The waterdrop-style notched screen offers an aspect ratio of 19.5:9. The Kirin 710 SoC powers the phone with 3 GB of RAM. The native storage of the device is of 64 GB. The hybrid SIM slot carries support for microSD card. The triple camera unit present on its back features a 24-megapixel sensor, a 16-megapixel ultra-wide angle lens and a 2-megapixel depth sensor. The notch at the frontside of the phone is of 8-megapixel. The smartphone is packed with a 3,400mAh battery. The EMUI 9 based Android 9 Pie OS comes preloaded on the device. It will be arriving with a 3,400mAh battery. The pricing of the Huawei Y Smart+ 2019 is not known yet. Also, its release date is under the wraps. It will be available in colors like Starlight Blue and Midnight Black.